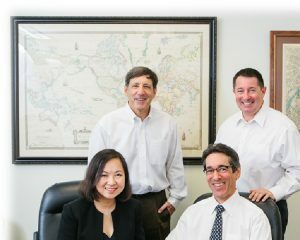 STA International – a second generation, family-owned business started in 1955 – is a full service commercial collection agency, providing commercial debt collection worldwide. The services that we provide include US Debt Collection, International Debt Collection, Receivables Management, and Skip Tracing. With a reputation built upon professionalism and integrity, STA International is the ideal commercial collection agency to represent your organization. The STA International Management Team poses for a photo in our New York Office. Experienced – Our commercial collections experience spans nearly all industries, allowing us to serve any legitimate business creditor. Further, commercial debt collection is our core competency. We’ve been doing it for more than 60 years – and this experience translates to higher recoveries for our commercial collection clients. Compliant – In today’s litigious climate, we meticulously ensure that all communications with debtors strictly adhere to local and federal laws. Global – Our commercial collection agency is both nationwide and worldwide, and we are able to provide services outside of the US as needed. Focused – Our primary objective is to negotiate the rapid recovery of your debts, and remit collected funds to your organization without delay. All collections are done on a contingency basis – if we don’t collect, we don’t get paid. you’ll forge a relationship with one of the most highly-respected commercial collection agencies in the world. We are proud to be one of a select group of registered US debt collection agencies certified by the Commercial Law League of America (CLLA). These memberships require attendance at meetings, as well as adherence to the highest levels of professional integrity and a strict code of ethics. Need help with US Debt Collection, International Debt Collection, or Receivables Management?